You may think that your business is too small to justify investing in a pressbrake but what if I told you that we could offer you an affordable alternative to meet all your folding requirements? The H Frame Press is a heavily constructed and extremely robust piece of equipment that can be transformed into a press brake by one simple tool change. The benefits of a press brake can be achieved with this much more affordable and compact tool and is therefore suited for the smaller workshop. So, what does the H Frame Press do? 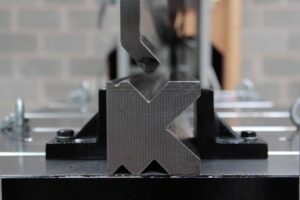 As the name suggests, the H Frame Press model is of an H frame design. It is fitted with heavy duty top and bottom press brake tools, which makes light work of the heavier bending, forming, pressing and straightening operations you need to undertake. These models feature adjustable limit switches for ram stroke and return, as well as twin guidance pistons in addition to the main ram and easy tool alignment. With these and many more benefits, the H Frame is an effective means of getting your box folding and tread plates done with precision, ease and consistency. When it comes to the welfare of your staff, safety is of paramount importance, and so one of the features of this machine is its safe working speed. It is also fitted with a two-handed control to ensure the operator is well away from the working area. In addition, the quiet hydraulic system of this machine means less noise pollution in your workshop. 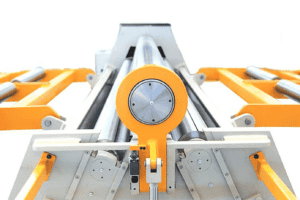 What can the H Frame Press do for your business? 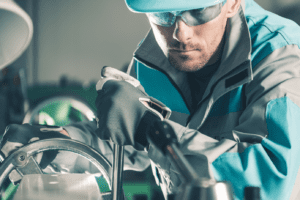 Perhaps your current machinery needs an upgrade, or you’re fed up with the costs and inconvenience of outsourcing, and you want to invest in your own solution and complete your projects in-house. Whatever the reason, investing in the H Frame might be the ideal solution for your business. 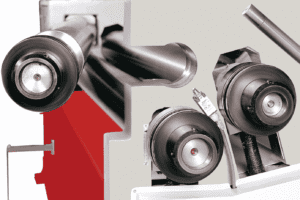 Whether you have a low or high volume operation, the efficiency of this machine means you keep costs to a minimum and you enhance your service to your customers by offering a reliable and consistent product. There can be no doubt that this machine will bring a valuable boost to your production and energise your business. Not only is the quality of our machines unsurpassed in their ability to improve your business efficiency, but at Selmach we offer a fast and professional service to clients and suppliers, helping you to come up with the solution that is suited to your specific requirements. So, contact us and let us find the right machine for your business.